This policy applies to tradecredit.co.uk and explains how tradecredit.co.uk uses personal information collected through the 'Site'. tradecredit.co.uk is bound by the National Privacy Principles contained in the Commonwealth Privacy Act, except for its activities carried on in the course of journalism, which are exempt. tradecredit.co.uk has publicly committed to complying with the Australian Press Council Privacy Standards for the use of personal information in the course of journalism. tradecredit.co.uk collects personal information from a variety of sources, including from members of the public, advertisers, prospective employees, mailing lists, recruitment agencies, contractors and business partners. In general, the personal information tradecredit.co.uk collects includes (but is not limited to) name, address, contact details, gender, occupation, in some cases membership of professional associations and, where relevant, financial information, including credit card information, banking details and income information. We store the personal information you enter on the tradecredit.co.uk website or give to tradecredit.co.uk in other ways. We obtain most personal information through the posting of ads or discussion forums via the tradecredit.co.uk website. You may provide information when you request or acquire a product or service from tradecredit.co.uk or its related companies, provide a product or service to tradecredit.co.uk, complete a survey or questionnaire, enter a competition, participate in forums or when you communicate with tradecredit.co.uk by e-mail, telephone or in writing (for example if you contact customer service or provide feedback). We may use a feature of your browser called a cookie to assign your computer a 'User ID'. Cookies do not contain information by which tradecredit.co.uk can identify you. They identify your computer to our servers. You may configure your browser so that you are notified before a cookie is downloaded or so that your browser does not accept cookies. tradecredit.co.uk may use information contained in cookies to make assumptions about the user of the computer and to provide users of that computer with focused advertising, which tradecredit.co.uk believes, may be of interest, based on that information. To disable your cookies, please refer to the help menu within your Internet browser. tradecredit.co.uk endeavors to collect personal information about an individual only from that individual. In some circumstances tradecredit.co.uk may obtain personal information from a third party. If you provide personal information about another person to tradecredit.co.uk, tradecredit.co.uk requires that you inform that person you have done so and provide them with a copy of this policy. tradecredit.co.uk may use information it collects from you for the primary purpose for which it is collected and for such other secondary purposes that are related to the primary purpose of collection. provide you with products or services you have requested personalize and customize your experiences on the tradecredit.co.uk website; help tradecredit.co.uk manage and enhance	its services; communicate with you; provide you with ongoing information about opportunities on the tradecredit.co.uk website in which tradecredit.co.uk believes you may be interested; give you the opportunity from time to time to receive e-mail from tradecredit.co.uk. If you do not provide tradecredit.co.uk with that information, tradecredit.co.uk will not be able to provide you with the requested product or service. tradecredit.co.uk may disclose personal information to other companies in the tradecredit.co.uk, which may only use it as set out above. third parties engaged by tradecredit.co.uk to perform functions on its behalf, such as processing credit card information, mail outs, debt collection, marketing, research and advertising; third parties authorized by you to receive information held by tradecredit.co.uk. If tradecredit.co.uk sells part of its business, personal information may be part of the assets transferred to the purchaser. The tradecredit.co.uk Network contains features where you are invited to send personal information to organizations other than tradecredit.co.uk. The choice to send such information to these organizations is entirely yours. You should be aware that any such information you choose to send will not be bound by this policy. tradecredit.co.uk may use and disclose Sensitive Information only for the purpose for which it was provided or a directly related secondary purpose or as allowed by law unless you have agreed otherwise. tradecredit.co.uk protects the personal information tradecredit.co.uk holds from misuse, loss, unauthorized access, modification or disclosure by various means including firewalls, pass word access, secure servers and encryption of credit card transactions. tradecredit.co.uk endeavors to ensure that the personal information it holds is accurate, complete and up-to-date. You can generally update personal information that is not membership information on the tradecredit.co.uk website where you submitted that information. Otherwise, please contact tradecredit.co.uk on privacy@tradecredit.co.uk where personal information is no longer required by tradecredit.co.uk, it would be destroyed or de-identified. You have the right to seek access the personal information held about you and to advise tradecredit.co.uk of any inaccuracy. There are some exceptions to this right set out in the Privacy Act. If you make an access request, tradecredit.co.uk will ask you to verify your identity and specify what information you require. 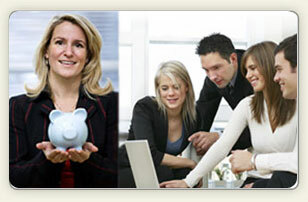 tradecredit.co.uk may charge a feeto cover the costs of meeting your request.